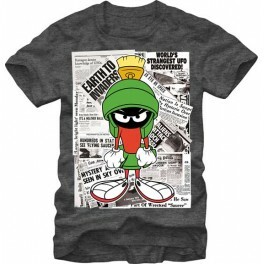 This is a grey t-shirt bearing the image of a veryyy angry Marvin the Martian in an angry pose over a collage of newspaper articles about flying saucers. 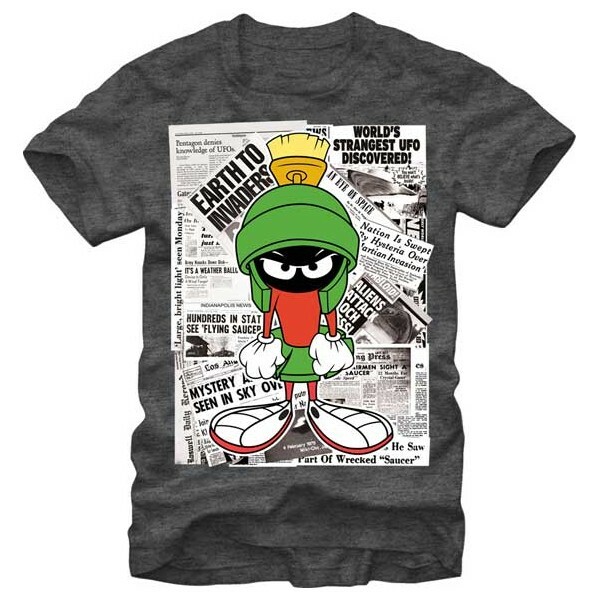 This is a grey t-shirt bearing the image of a veryyy angry Marvin the Martian in an angry pose over a collage of newspaper articles about flying saucers. Please refer to our size chart below for shirt dimensions.